Bella Blue was born on 2 January 2019 at 32 weeks through an emergency Caesarean weighing just 3lb 13 ounces. Bella’s mom, Jodie, went into spontaneous labour after her waters had already broken twice before at 20 weeks and 23 weeks so she knew she was in for a difficult pregnancy. As her waters had already broken way before Bella was ready to come into the world, Jodie didn’t know she was in labour at 32 weeks and was already 7cm dilated by the time she went for her emergency C-section. Bella was born just after 6pm but she wasn’t breathing. Jodie said: “I was lying there knowing they were working on my baby, I didn’t see her before I went into recovery and the doctor came in to tell me my baby wasn’t going to make it. Jodie and Bella’s dad, Harry, called in their families to be with them during this heart-breaking time. Jodie and Harry sat and talked to Bella for the next two hours and miraculously, three days later, Bella was taken off her ventilator and moved into special care where she stayed for two weeks. Thanks to the life-saving equipment the Charity funds for the Neonatal Unit, Bella defied the doctor’s odds and made it through the first hour, and many more hours after that, until she could finally go home and live her life with her family. Bella was then transferred to Good Hope Hospital where she stayed for around a month and learnt to feed and was taken off all oxygen so she could breathe on her own. At seven weeks, she went home and is now living a happy life with her mom and dad. Jodie said: “I don’t know what we did to deserve people working tirelessly on her to ensure she made it. Our first few weeks were some of the worst days of our life and I didn’t know if we would ever get through it but throughout the lowest of the lows, the staff were unbelievable to us. “They care just as much as you do about your baby and reassure you constantly. They told her she wouldn’t make it and Bella showed them she would. 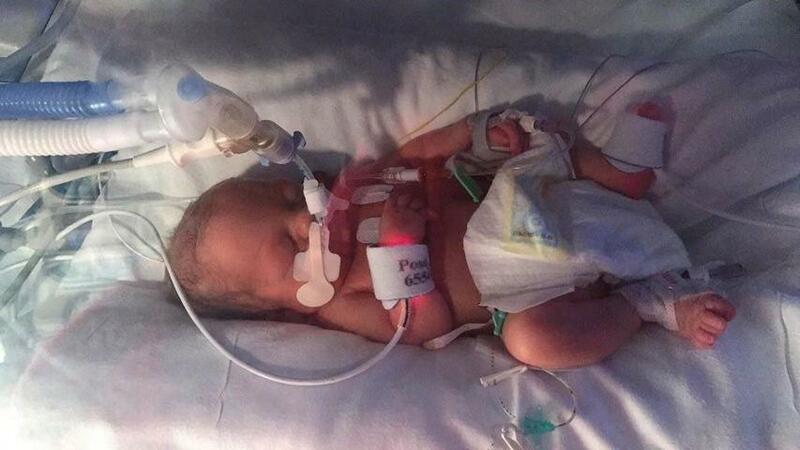 The new incubators the hospital charity is purchasing will save even more tiny lives just like Bella’s. This is why we are asking for your help to bring these incubators to the hospital. Could you spare £2 to help us bring these incubators to the hospital, donate now at justgiving.com/campaign/neonatalincubatorappeal.